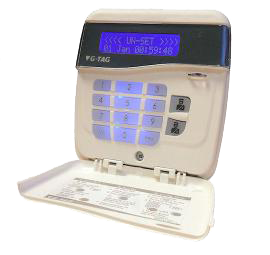 Broughton Security Alarms in Preston, Lancashire offer a complete installation and maintenance service on all types of intruder security alarms systems in Preston, Garstang, Longridge, Blackpool, Lytham St Annes and throughout Lancashire. You are less likely to become a victim of burglary if you have a well fitted and fully maintained security intruder alarm system. At Broughton Security Alarms we offer different types of alarm systems that can be tailored to your personal preferences, your budge and the level of protection that you require. So if you are looking for an experienced, qualified and professional security alarm installer for the installation and maintenance on all types of intruder security alarms systems in Preston, Garstang, Longridge, Blackpool, Lytham St Annes and throughout Lancashire then call Luke at Broughton Security Alarms in Preston, Lancashire on 01772 718661 today for your free no obligation quotation.